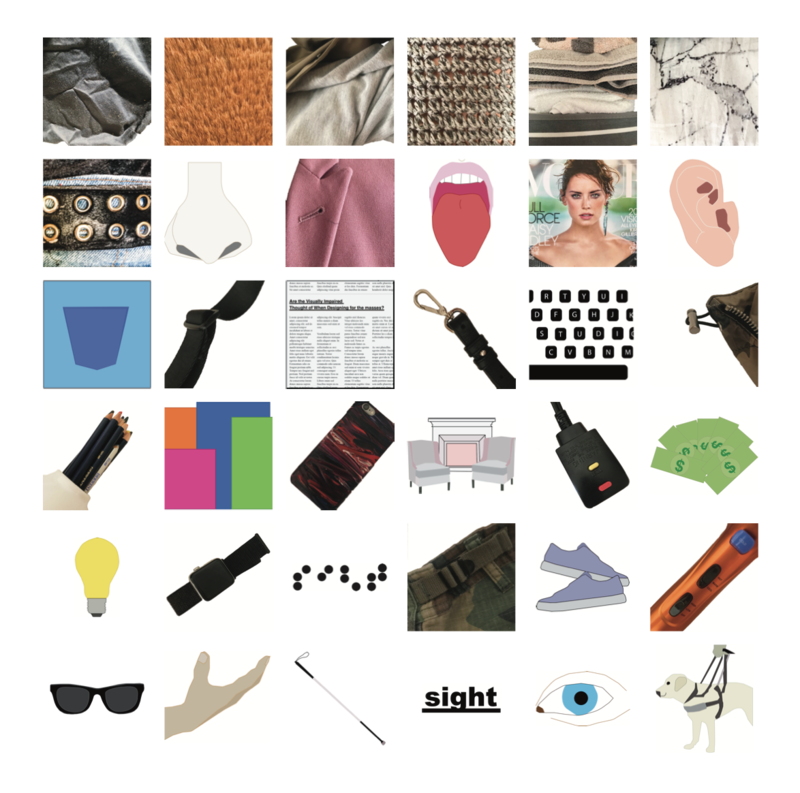 How do the visually impaired experience fashion (in general and as a form of self expression)? How can advertising be more accessible in the fashion industry? I am unsure how to go about communicating my idea. However the two ideas I have thought of is learning what the experience is like for people who can’t see clothing and either create a “brand” that is geared towards the blind. Then creating a compelling and accessible ad campaign to go along with it. I was also considering create an art / materiality experience that is geared toward touch and the senses that could help take my research to a hands-on visual scale.